Missed the final because of the juries wildcard for Finland. 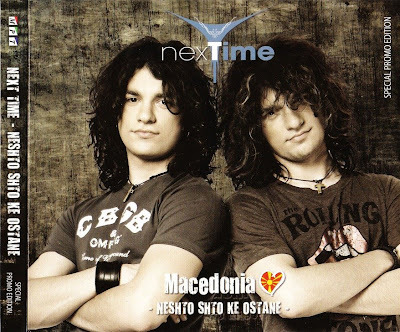 Next Time (Некст Тајм if you need to) are twin brothers Martin and Stefan Filipovski from Skopje. 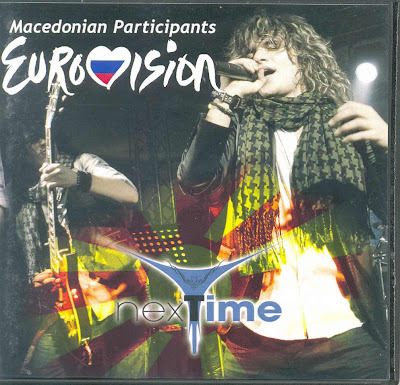 They just released their debut CD Next Time which includes their debut single and chart hit Ne Veruvam Vo Tebe (I Don’t Believe in You) but Eurovision song Нешто што ќе остане is not on it. 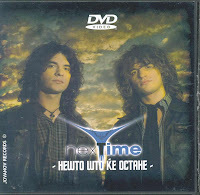 A seperate promo DVD on Jovanov records has the videoclip. The Moscow promo (pic above) is a cds/dvd set issued by MRKTV. The cdsingle of this set also has the instrumental version.